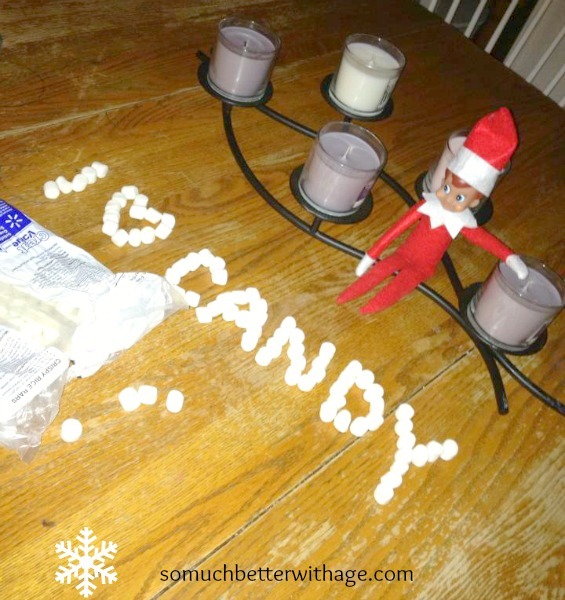 Today I’m sharing with you a fun little post about the Elf on the Shelf. Have you seen it before? I love this little guy. 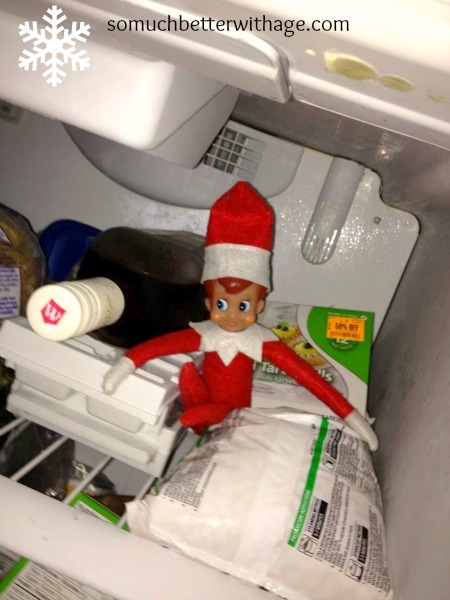 Story goes that the Elf comes every year around Christmas and watches the children of the house and reports back to Santa at the North Pole every night if they are being naughty or nice. He’ll land in a different spot in the house upon his return. Our Elf just arrives back to a different spot on a bookshelf at our house but my cousin, Jennifer Pitzel, gets really creative each year! This full-time working mama with two kids gets the award for best Elf creativity. 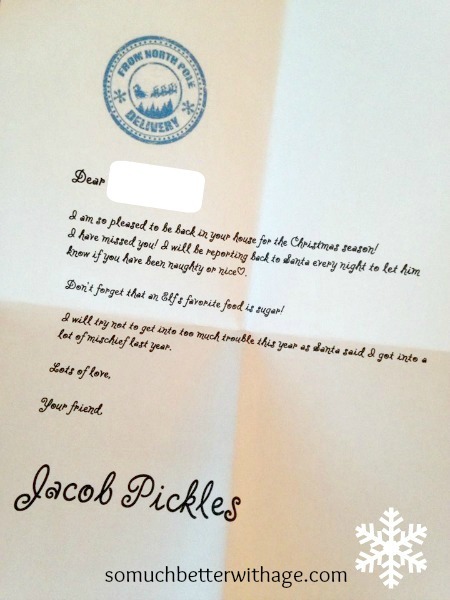 The Pitzel family’s elf is Jacob Pickles. He arrives each year in an old suitcase carrying a letter and wrapped books that serve as an advent calendar. I am pleased to be back in your house for the Christmas season! I have missed you! I will be reporting back to Santa every night to let him know if you have been naughty or nice. 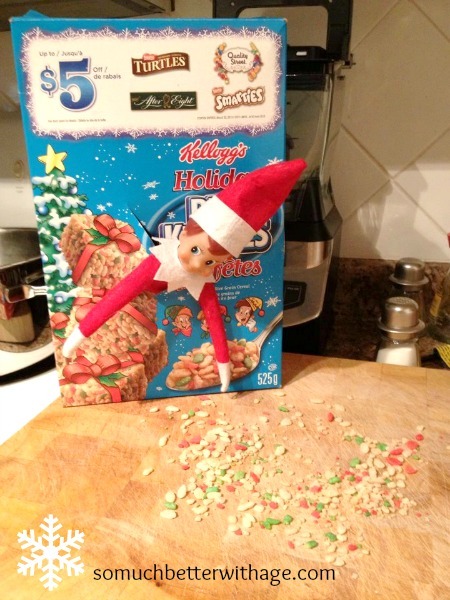 Don’t forget that an Elf’s favorite food is sugar! I will try not to get into too much trouble this year as Santa said I got into a lot of mischief last year. Like the letter states, he loves sugar. He took to cookie decorating right away. Then moved on to marshmallows. He loves chilling in the freezer as it feels most like The North Pole. before tucking himself in to bed. 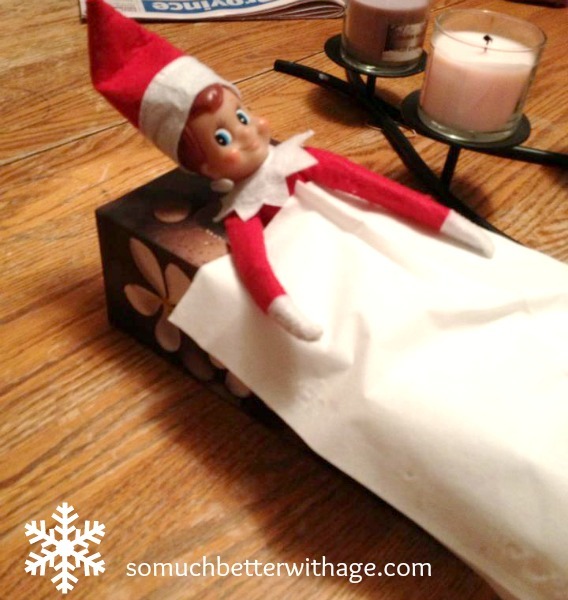 I’m going to be posting some more of these funny Elf On The Shelf photos each week before Christmas. 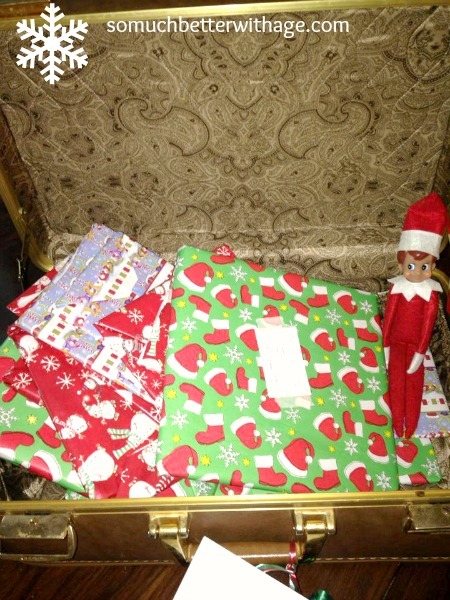 Has your Elf arrived to your house yet? So cute, Mary! Did you see my post today? 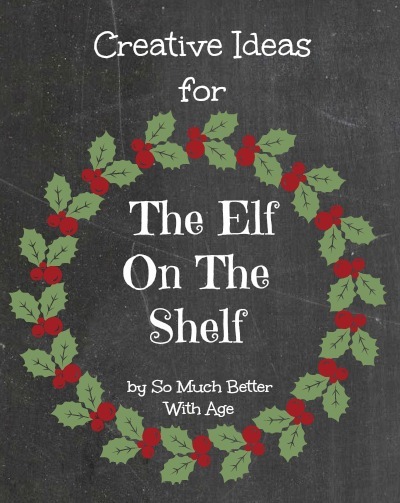 I have a new Elf post out! 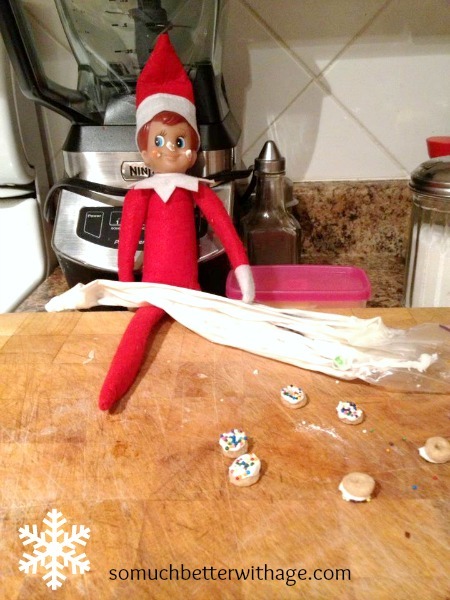 What fun elf ideas. I’m looking forward to my grandson getting a little older so I can start some fun traditions like this. Your grandson will love it! I especially love it since it helps the kids listen more 😉 The elf is always watching! So cute, love the suitcase full of books. I have one elf that I use at my house on Christmas eve to make sure all the kiddos stay on their best behavior while they are here! I wish it was around when our kids were little, so much fun! He’s adorable, makes me wish I had some little ones around to entertain! He is cute, isn’t he. Thanks Debra!